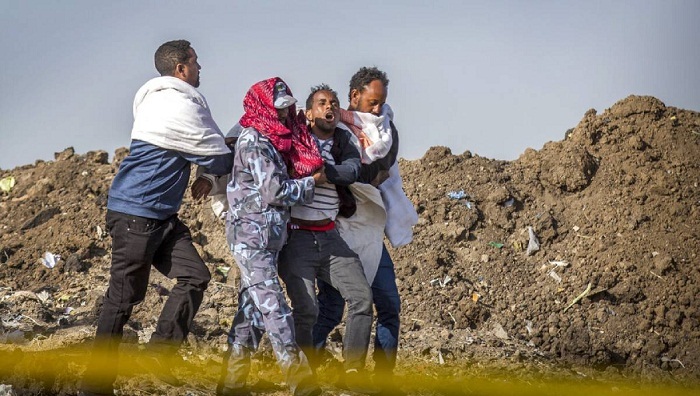 The black box from the Boeing jet that crashed and killed all 157 people on board will be sent overseas for analysis but no country has been chosen, an Ethiopian Airlines spokesman said Wednesday, as much of the world grounded or barred the plane model and grieving families arrived at the disaster site. Others took action on Wednesday. Lebanon and Kosovo barred the Boeing 737 Max 8 from their airspace, and Norwegian Air Shuttles said it would seek compensation from Boeing after grounding its fleet. Egypt banned the operation of the aircraft. Thailand ordered budget airline Thai Lion Air to suspend flying the planes for risk assessments. Lion Air confirmed reports it has put on hold the scheduled delivery of four of the jets.